Car badging is something that everyone is aware of in some fashion, whether it’s the car makers brand logo, or a performance emblem, each badge can be a swell of information of the car it’s on. Think of it as a birth mark that tells you exactly what you’re going to be. On most cars with number badging, it comes in reference to the engine size or capability. But what’s to say about Tesla’s, who use number badging, but don’t have a conventional engine? While most Model S’ are generally the same when it comes to body style and interior design, the badge is what defines each model. It's time to know exactly what a P85D means in relation to the Model S, 3, X, and Roadster. 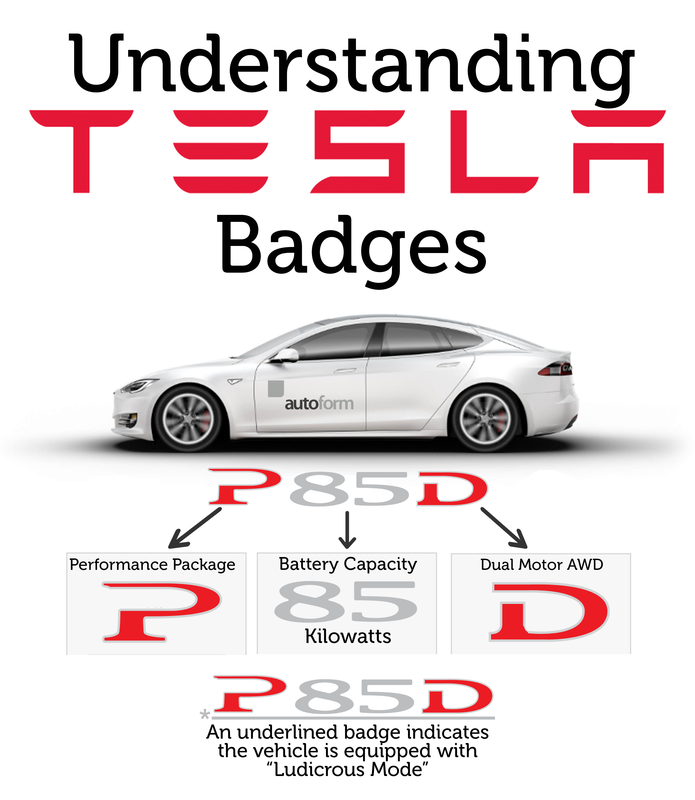 When it comes down to it, the more badging that you have on the back of your tesla, the faster the car. The best opportunity to see the difference between each model is to experience them for yourself at the Autoform Showroom. We are Vancouvers' leading independent pre-owned Tesla dealer and have an array models in stock at any given time. Visit our website to see our current selection of Pre-Owned Teslas' and book a test drive today!